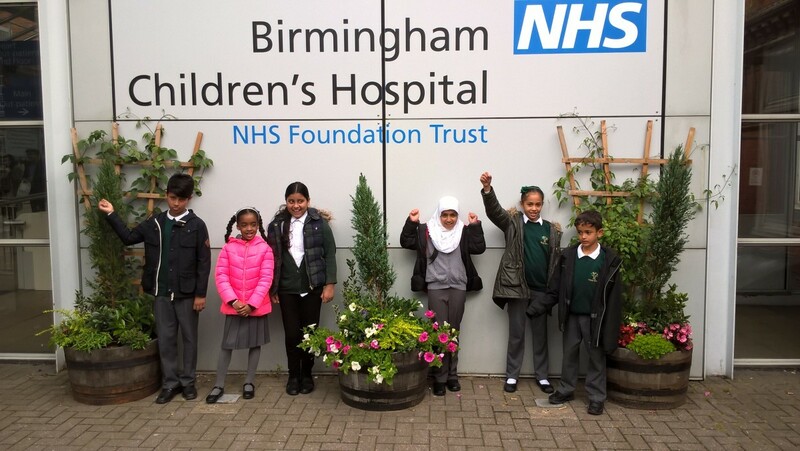 Children at Grove have taken part in a range of activities including sponsored walks, bake and craft sales to raise money for Birmingham Children’s Hospital. In June 2016 a group of children from Year 1 to Year 5 visited the hospital to see what a difference the money raised will make to the community. Back at school the children shared their experiences with their year group and passed on a big THANK YOU to Grove School from the staff at the Children’s Hospital for the money we raised. Look in the gallery section of our website to see some of our amazing days out.